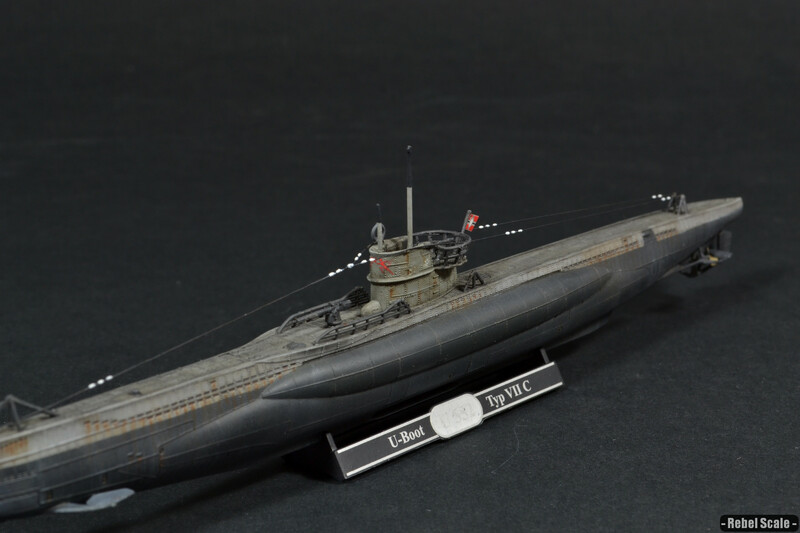 Well, for something out of the ordinary, I decided to try out a U-boat. This one was under $10 and went together really fast. I added the lines (made from horse hair), and I used super-glue to make the white buoy-things. I did have to scratch-build the front serrated edge, as it broke in the package. Other than that, it was a good kit for something cheap and different. For painting, I used Life Color and Vallejo paints. I then used a lot of AK Interactive weathering products to create washes, highlights, and the rust streaks. 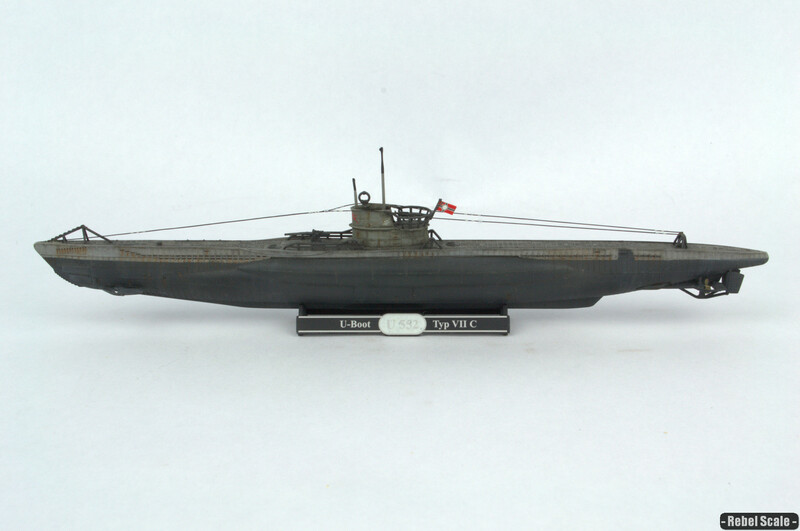 The Type VII U-boats were the most commonly used during WWII, with the VIIC comprising 568 total boats. 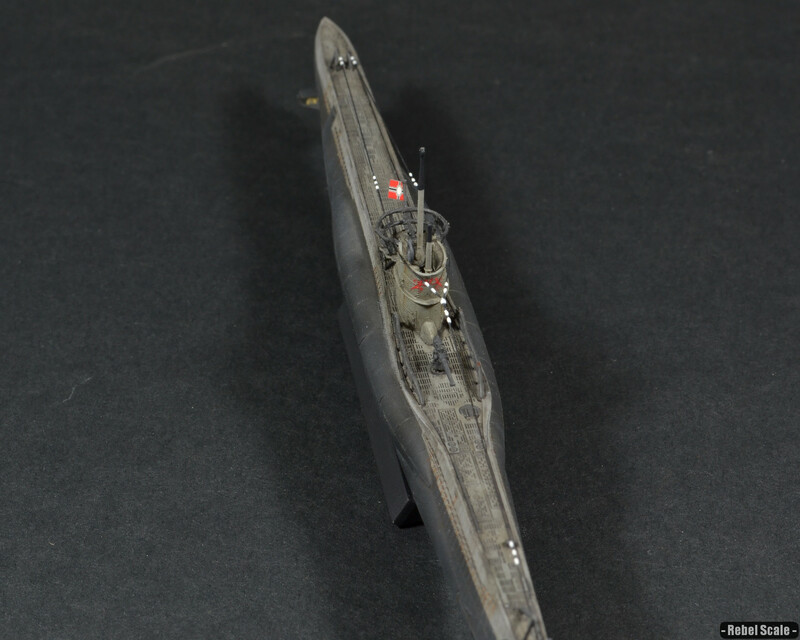 In addition to 5 torpedo tubes, the VIIC had a 88mm cannon and 37mm flak gun. 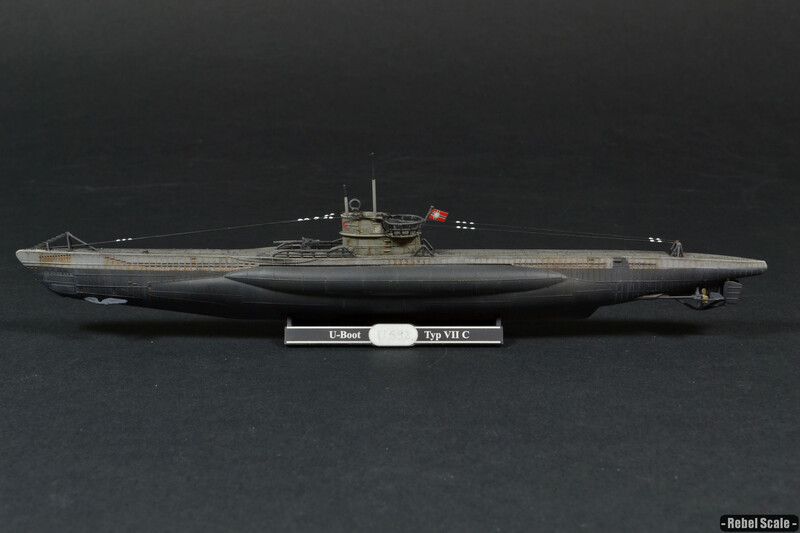 Nicknamed the Roter Teufel or “Red Devil”, U-552 was launched September 14, 1940. 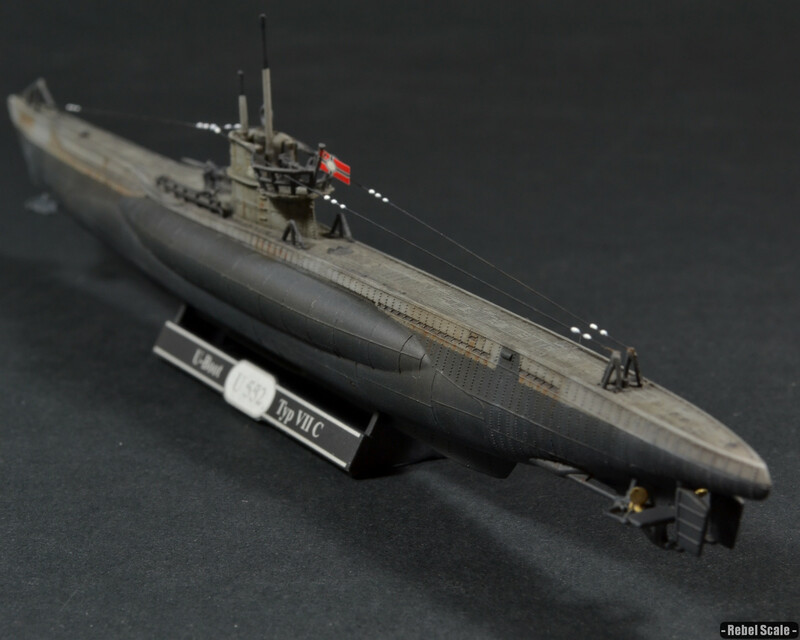 Over her 3 years of service and 15 patrols, she was credited with sinking or damaging 30 allied ships, including the first US ship to be sunk in WWII. 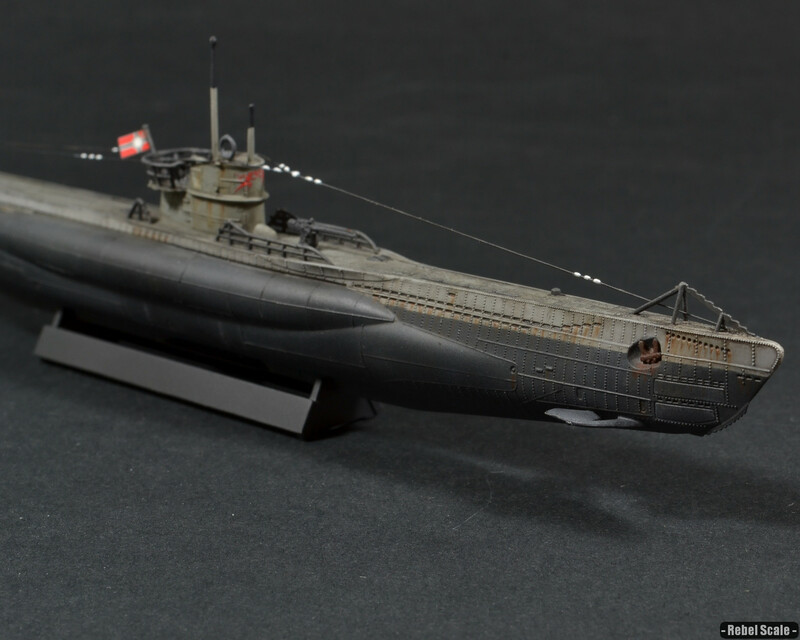 On May 2, 1945, her crew scuttled the boat to prevent it from falling into enemy hands.